These are our current generation of breeders, there are actually many more dogs in the program who simply aren’t on my yard, and even more still from previous generations who’ve been taken off this page to avoid confusion. Pictures of those dogs can still be found on our pictures pages. So far the pups he’s produced have been very similar in type and attitude, though most have come out more heavily built. His first litter was with Nyx, currently the pups are 5 months old and over 70 pounds. The two males out of that breeding are very large and are showing great signs of becoming great protection dogs. I’m also very impressed with his litter with Echidna though the pups are much younger. As for the stud fee for Kronos it’s $1000. I like the combination as well. The Dane brings height, speed, prey drive, sight orentedness, a descent nose, the body length needed for maneuverability, and naturally low body fat. The Neo brings suspicion, strong defense drive, power, strong thick bones, intelligence, a very high pain tolerance, calmness, tolerance of children, the desire to stay close to home, and a large powerful skull. The pitbull in my dogs is game bred from jeep, redboy, rascal, and chinaman lines, they don’t tend to have the large heads of the show pits. What the game bred pits do bring is prey drive, fight drive, stamina, general health and soundness, a high stimulus threshold (gameness), bite and hold mentality, a naturally muscular and fit body type, a high strength to weight ratio for agility, and endless determination. Each dog bred from these three breeds isn’t necessarily going to get all these traites, that’s why good selective breeding is needed to be sure the best dogs with the best traits of their forefathers are the core of the next generation. I am interested in purchasing pups from you this summer. They will be estate guards in the Philippines. Please contact me so that we can discuss my needs. i like what you are doing. im very interested in a male preferably blue and will be looking to purchase late december, early january. the dog will be used for protecion of my family and property as i work away from home a lot. i am looking for a very muscular, heavy boned dog with agility so he can jump in my ute,go to the park/creek and fetch etc. Kronos to me looks exceptional and if i could get similar in blue/black or a mearle mix that would be amazing. i live in australia so could you price me for pup and then for the pup and transport. thankyou in advance, i look forward to doing business with you. Do you sell pups to other countries too? I do though international shipping can be a lot more complex. From wich kennel did you got your Neo from? Also, could you tell more details about your dogs like wich breeds are in each one of them, temperament, weight, etc.? I got Achilles from a man who couldn’t keep him, I’d known about Achilles for about a year and had planned a breeding. During that time I was able to get close to him and put my hands on him. Apparently I was the only man he’d ever let touch him other than his owner, and that took three hours. After that I got him from the man who’d originally gotten him from a breeder near Seattle WA. He lost his papers between the first time I met him and when I came to do the breeding. So we are working through all the AKC red tape to get them replaced. Because of the location I’m guessing he’s from Hawk lines. As for the sizes and temperaments I’m working on individual pages for each dog now, that will have that info. I’m really impressed by how much thought you put into your breeding program and the amount of information you provide to people visiting your website. I also support the theory of hybrid dogs having more vigor. That being said since larger dogs are prone to such concerns as hip displaysia do you feel it’s a benefit to breed in a smaller dog such as the APBT and also do you Pennhip test your dogs? I am looking to purchase a dog in the spring of 2012 and will be monitoring your website along with your face book for updates on breedings. While several large breeds have very high instances of HD, it’s not the size that make the dog dysplastic. According to the Orthopedic Foundation for Animals, the most dysplastic breed is the English Bulldog with 72 percent of the breed affected. The second most is the Pug with 64 percent of the population dysplastic. Bulldogs max out at about 60 lbs and Pugs around 20. While only 12 percent of Great Danes are Dysplastic. Game bred APBTs tend to be very healthy dogs in general because of the extreme performance based type of selection used to found the breed. Recently the breed has suffered because of the “bully pit” trend due to the introduction of modern english bulldog blood. I’ve never had a pennhip evaluation on any of my dogs. The method I prefer is to push the dogs. I don’t coddle my dogs as pups, I let them run, jump, work and play as hard as they want at all stages of life. I look strongly at each dogs structure, and angulation. I do physical exams and if anything is suspected I do X-ray the dogs hips. This method has worked really well for me so far. I have dogs who can sprint at 40 mph and dogs who can jump out of a 6ft pen in one leap, and noone has ever called me to complain about one of my dogs having joint problems. I’ve considered doing Pennhip tests just for easy comparison of my dogs to other, but I haven’t done it. I am a proud owner of a game-bred Pitbull. He is at the moment already 12,5-years old. He has been a perfect dog as well as a real friend for me during these years. Besides of APBT´s I have always been intrested in bandogs. Little bit bigger size is good thing in protection work. Your dogs look like very agile. And that is what I appreciate because I used to train different kind of out door activities(runnind, skiing, walking, etc.). Have you ever sold any of your dogs to Skandinavian countries? It would be nice to see this kind of dogs in practise. I’ve never sent a dog that far but I’m willing to. I’ll send you an email. You are doing some great work. I would like to discuss some things with you when you are free. Weight- 30-55 kgs (Have been known to reach 60 kgs)66-132 lbs. psyche looks like a great dog! i am interested in getting a male dog from you, i hunt hogs in south carolina and i am realy impressed in your program. i like the look of Tyr and Psyche ALOT. 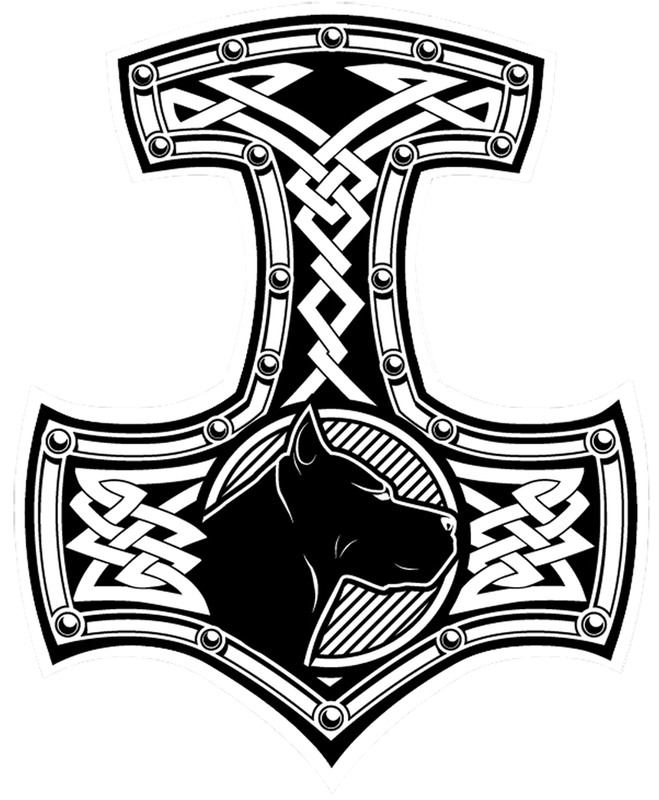 and i would like to get a dog similar in build as Tyr and Psyche. please get back to me. Hi, really appreciate your good work. Am a Nigerian & a dog lover. Pls Would love you create more awareness, to youths particularly, about how most of the mastiff breeds(esp neapo & danes) have been mutilated by show breeders! Was alarmed to see the difference btw dogs of today & those of the past. I love functional dogs! What does it cost to buy a pup from you? Thanks & keep up the good work. Sounds good, I’ll be breeding Psyche in a month or so so your timing will be perfect for that litter. Definitely want a tyr or psyche look though . Who are Lynn and Kita? Also, could add pictures of the parents in each dog profile? Keep up the great work! Kita is a great female owned by Chris Newman, he contacted me about studded one of my males. After I met Kita I knew she was the female I’d been looking for to breed Fenrir to. Kita’s mother was like Kronos half Neo and a quarter Dane and Pitbull. Her sire was a Great Dane. They didn’t disappoint me with their litter Tyr was the price of that breeding and I’m extremely pleased with him. One of his littermates also has a live bite protecting their property. That’s a good suggestion about the parents pictures, I’ll do that where I can. And how are they in obedience and trainability? I’ve always had an easy time training them and they tend to be very eager to please and very biddable. They tend to be more submissive to family and more sensitive to the handler so they need to be trained in OB using motivational methods. So they may never be as crisp in competitive OB as a Herder type, maybe a better trainer than me could do it. But they usually listen well and are easy to live with they tend to be very mental thinking dogs. Hi I 1st like to say I love the fact you are breeding not for looks but what the dogs were meant for and that’s to protect.I would like to get a Neo from you for just that family protection,how often do you have Neo litters and what is your price? Thank you, but I don’t breed Neo. I breed Bandogs I’ll have some litters with high Neo content, especially when they are sired by my Neo stud Achilles. I won’t be having any Neo to Neo breedings because my program goal is to significantly improve the working mastiff, and the pure form of the Neapolitan mastiff has too many performance reducing features. Any updates on the wolf outcross project? That’s still years away, I’ll be bringing the wolf in after my line is more established and more consistent. Otherwise the wolf would just throw them completely off course. If I don’t have a good core group of consistent dogs who all meet my whole standard and produce it consistently, I may also lose the wolf traits I’m looking for in the process of getting the line where I want it. It’s nice to hear another opinion on the Bull Arab, I’ve never had the opertunity to see one. The list that was posted in the comments here has been floating around the Internet for a while, I’m not sure where it started or who made it, but it’s nice to get some feedback from an Aussie with experience with them. I don’t think that list is talking about protection dogs though, just hog dogs. I definitely agree with you about the temperament of a good Neo, it’s such a shame to so many great minded animals are in such terrible useless bodies. I’m glad there are people like us working to correct that. As for shipping straws for AI I can do that, but I don’t do regular collections so it would be collected on request. Who are your biggest (and tallest) dogs? Do you think that since you started your program, your dogs are getting smaller and bulkier or they are keeping the size and getting bulky? And how would you fix that, just adding height with lean tall dogs? Raheem is probably my heaviest dog and one of the tallest, but that’s not surprising considering he’s Great Dane x Bordeaux Mastiff. The tallest is probably Orisis but several of Achilles sons that I sold are a bit taller. I think in this generation the tallest dogs will be Atlas and Triton, they may be some of the largest and tallest dogs I’ve ever produced. Over the generations my dogs have gotten bigger and taller, I wouldn’t say they have become bulky. The amount of very muscular dogs has gone up but I’m always looking for a tall lean frame, but with strong bones and powerful muscles. I do have some dogs that are a bit bulky, but they are used to balance my dogs that are too lean, I’m always seeking a practical balance. I really like the shape and extraordinary mobility of Tyr and am aiming for his build on a 160 lb 33 inch frame. It’s very important for a dog to have a balanced frame, too bulky and you lose athleticism and mobility, too lean and you lose strength and toughness. As far as how to fix it or achieve my goals, Achilles influence has added a lot of mass to this generation, but he was bred to balanced females and balance was selected for. Wally (When the stars go blue) is also an important outcross being a mostly balanced Dane bred to Psyche a phenomenally well built lean athletic girl. They produced Atlas who is an awesome young male who’s very well balanced and will complement females like Isis who are heavy on the Neo blood. The goal is to cross dogs who can bring each side and select those specimens who have the best of both to contribute to the next generation. That’s an interesting idea, I’ll look into how I could do that. That’s play drive, there are more drives than just the ones I mentioned, and play drive is what you’re describing. Play drive is what drives the hunting games with a lot of tackling chasing and wrestling in young pups, it looks like prey but it’s a social drive so it targets pack-mates. Prey drive usually only targets non pack members like small animals, toys, even other non pack dogs. Some dogs with really high prey drive will target pack members in prey when they get excited, you can see the change in behavior because they will start getting carried away and start hurting the other dog. Play rarely leads to intentional injury, though a big dog can hurt a smaller dog by not understanding how much more fragile they can be. Keep in mind the reason I let my dogs run, jump, tackle and play rough is because I want to know if they have issues. It increases the chance of a dog with joint issues having a disabling injury, that is something I need to know as a breeder. If your not looking to breed her I would be careful with her, the best chance for her as an individual to avoid issues is to follow your breeders advice. If they recommend limiting the dogs activity they may be saying that because they know they produce problems sometimes and are looking to minimize issues. For my breeding program though, I want any issues to be known so they can be selected against, and not reproduced. Rough is good for the breed by being hard on the individual, and gentle is good for the individual but hard on the breed. Thank you so much for your time and the great info. I appreciate the insight. It explains a lot. What happened to the breeding between Echidna and Raheem? I saw one pic on facebook, but nothing else was mentioned of the litter. She had two males and only one survived, he’s a very nice prospect and he’s staying in the program. David, I’m very interested in what you’re doing and I enjoy following the website. Do you have anymore litters planned? Nothing too soon, I need to spend the better part of next year raising, evaluating and training my newest generation before I know how to move forward, but tentatively I plan to breed Kronos to Pele depending on how she works. I hope Pele works out for you. I’d like to see how Achilles’ pups influence your program. Since they’re half neo, she and Triton are surprisingly tight skinned. It looks like they are about a year old now. They’ll probably fill out a bit more, but do you have approximate height and weight for them? Thanks, I’ve never had anyone else contribute content to my site but I’m interested to see what you have to say. Please get in touch with me through email and I’ll we can figure it out. hi i like your site alot. but i have 2 questions. 1, how would you rate a rottweiler with pros and cons? 2,are these judgments based on research of your own? How much to import to england? I don’t export overseas anymore, the customs costs and requirements make it undoable. If you handle the shipping details costs and arraignments I’m willing but otherwise I just don’t have time to deal with the customs bureaucracy. I received a dog from someone who no longer felt capable of taking care of him in August 2018, as I have and am familiar with giant breed dogs. I was told he came from Midgard Mastiffs and was wondering if you had more information on him, I’m very interested in his makeup and background. His name is Joker, I believe he said that was the name he had when he got him.